Finland – Profeetat is the project of Cheek and Elastinen, Finland’s two biggest hip-hop artists. Formed in 2016, this year the duo marked its rapid rise by selling out three arena shows in its homeland. First filling the Turku’s Gatorade Centre and then maxing out two nights at Helsinki’s Hartwall Arena, Profeetat’s shows stacked up to be Finland’s biggest domestic indoor arena production, one to be designed by creative outfit MOBB Helsinki, headed-up by the Finish firm’s Ari Levelä. The gear and personnel required to run the nights mounted up, and the lighting tech armoury included two Hippotizer Boreal media servers and one Hippotizer Karst media server to run the main show, plus a further two Boreals acting as back-ups. Add a pair of Kinect cameras, seven live cameras and a brace of GMA2 lights and the picture begins to emerge, as well as an awesome video presentation. 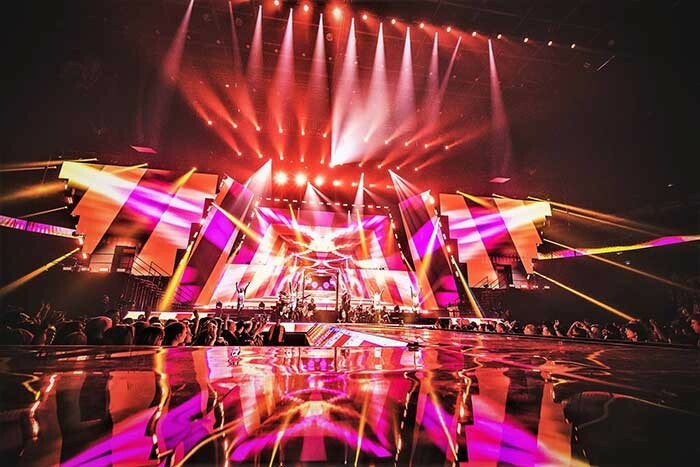 Continuing to up the numbers, MOBB Helsinki surrounded its Green Hippo line-up with 350 lighting fixtures, and a world-class PA system. And there was more, namely 13 band members, 75 crew members, 16 riggers, 34 local stage hands per show and 13 trucks for transport duties. With the hardware, software and personnel in place, crucial to the ultimate success of the operation was the Hippotizer’s ability to integrate with Notch, the game-changing real-time visual creation tool that keeps up with your ideas. MOBB used Notch to boost, and add effects to, the live image feed. 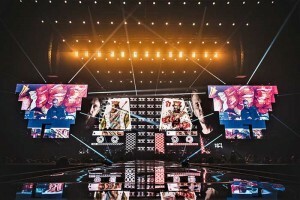 The team combined this feed with pre-rendered and pre-shot video content created in its studio, and used Kinect cameras to clone real dancers to screens. 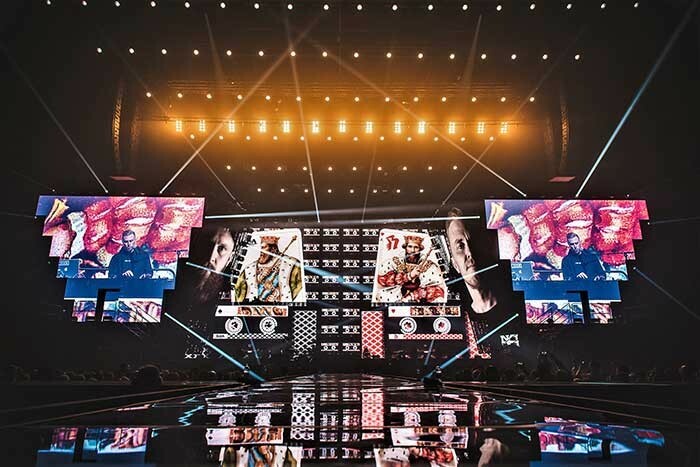 With stage set, video and visual design and lighting design crafted by MOBB, this epic event was a model example of a collective. The team of excellence also included Oy Pyroman Finland, Sweden’s Laserimage AB, and Helsinki Rigging Co (no prizes for guessing which area of the production each of these companies handled!). 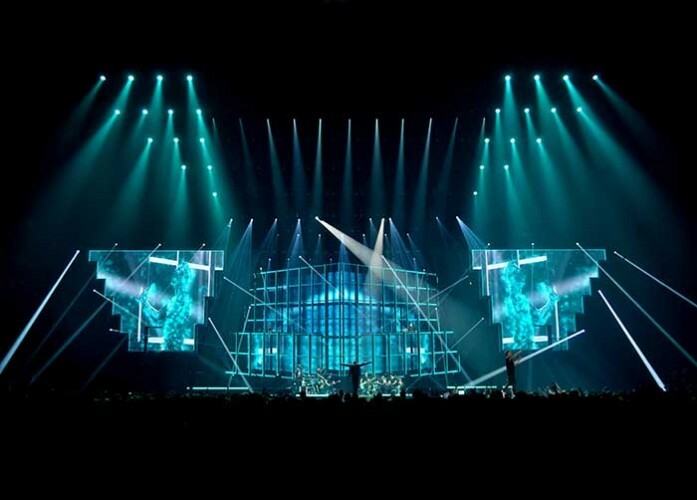 Bright Finland handled technical production and logistics and Roudaamo Event Warehouse was in charge of the stage. The MOBB team was mightily impressed by the Green Hippo gear.